A lot happens on the BC Day Long Weekend in Vancouver including the Harmony Arts Festival, fireworks, Pride Parade and other festivals. BC Day takes place on the first Monday of August each year, so in 2019 the August Long Weekend runs from the evening of Friday, August 2nd, until end of day on Monday, August 5th. 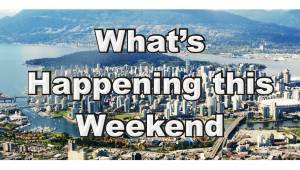 Click any of the above links to jump to information about a specific event, or continue reading to learn all about the Lower Mainland’s top BC Day Long Weekend events. Below is a list of the top major events taking place in Vancouver on the BC Day August Long Weekend. Hope you have a wonderful time whatever you end up doing! In 2019 BC Day is on Monday August 5th and the long weekend runs from August 2nd until the 5th. The Saturday of the long weekend is when the final night of the Celebration of Light international fireworks competition takes place. All afternoon and evening there is music and festivities at Second Beach in Stanley Park. Then later, just off English Bay Beach, the fireworks start at 10 o’clock. The Celebration of Light is one of Vancouver’s premier events and in the evening hundreds of thousands of people turn out to enjoy the pyrotechnics from the beach and surrounding region. See Celebration of Light for further information about the event in general, or click Fireworks Viewing Venues for a list of best places to watch the pyrotechnics from. Vancouver Pride Parade – the city’s world-famous and very colourful Pride Parade usually takes place on the Sunday from noon until close to 3 pm. The route starts at the corner of Thurlow and Robson and goes down Robson Street, then along Denman Street and Beach Avenue before finishing at Sunset Beach. Sunset Beach Festival – the Pride Festival celebrations usually continue on the Sunday at Sunset Beach from 11 am to 6 pm. Click Vancouver Pride Parade & Festival for more details. The Abbotsford Agrifair is a community fair that includes an agricultural exhibition and amusement rides. 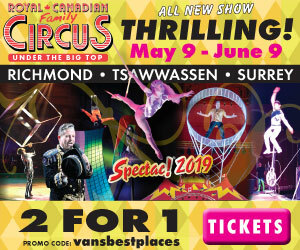 In 2019 it takes place August 2nd to 4th at its usual Exhibition Park venue in Abbotsford. The Agrifair is a popular event and features everything from Canadian wrestling to pig races, logger shows, farm animals to look at and live music. Single-day admission costs about $12 for adults and $10 for seniors and students, but free for children under 11 years of age. 2019 details are to be confirmed. For more information click Abbotsford Agrifair. Circo Osorio is a Las Vegas-based circus. In 2018 it had shows in Chilliwack on August 2nd to 5th. Eight shows took place at Cottonwood Mall at 45585 Luckakuck Way in the four days leading up to the holiday Monday. Hopefully the circus will be back again in 2019! Tickets last year were $20 US online for adults and $8 US for kids ages 1 to 10. Tickets at the gate were $25 CAD for adults and $10 CAD for children. TIP: If you smile nicely at the gate and tell them you heard that up to two kids get in per paying adult, they’ll let your kids in at no charge even if you don’t have the necessary coupon! Click Circo Osorio for more information about the circus. The Harmony Arts Festival is a 10-day arts festival that usually starts on the August Long Weekend. The event features live music, free nightly movies, art displays and all sorts of things for people of all ages to see and do. General admission to the Harmony Arts Festival is FREE and it takes place in West Vancouver along the water between Ambleside and John Lawson Park. In 2019 the Harmony Arts Festival runs from August 2nd to 11th. Kelly & Gibson – from 5:45 to 7:30 pm at Millennium Park. Murray Porter – at 7:30 pm in John Lawson Park. The Hip Show – from 8:45 to 10:00 pm at Millennium Park. Dear One – from 1:00 to 2:00 pm at Millennium Park. Porteau Cove – from 2:15 to 3:15 pm at Millennium Park. Jocelyn Pettit Band – from 3:30 to 4:30 pm at Millennium Park. Gabriel’s New Orleans Street Party – from 5:45 to 7:30 pm at Millennium Park. John Welsh & Los Valientes – at 7:30 pm in John Lawson Park. Warren Dean Flandez – from 8:45 to 10:00 pm at Millennium Park. Rowen Porter – from 1:00 to 2:00 pm at Millennium Park. Sara Vickruck – from 2:15 to 3:15 pm at Millennium Park. The Burying Ground – from 3:30 to 4:30 pm at Millennium Park. Colin Bullock – from 5:45 to 7:30 pm at Millennium Park. Buckman Coe – at 7:30 pm in John Lawson Park. Chris Buck Band – from 8:45 to 10:00 pm at Millennium Park. Winsome Kind – from 1:00 to 2:00 pm at Millennium Park. Blackberry Wood – from 2:15 to 3:15 pm at Millennium Park. The Kwerks – from 3:30 to 4:30 pm at Millennium Park. West My Friend – from 5:45 to 7:30 pm at Millennium Park. David Graff & Band – at 7:30 pm in John Lawson Park. Side One – from 8:45 to 10:00 pm at Millennium Park. See the Harmony Arts Festival for more details on this great community event. The seaside resort town celebrates its Sea Festival on the August Long Weekend. The FREE event includes children’s activities, fireworks, a torchlight parade and tons of live entertainment. In 2019 the festival takes place on the Saturday and Sunday of August 3-4. TIP #1: If you can’t stay all day and evening, but you really want to enjoy the beach during your visit, try to be in White Rock at low tide when the sand seems to go out forever. TIP #2: If you go on the Sunday combine your trip with a visit to the White Rock Farmers Market which is a great market at 15154 Russell Avenue between 10 am and 2 pm. Click White Rock Sea Festival for more information. The Powell Street Festival is a FREE festival celebrating Japanese-Canadian culture and heritage on the BC Day Long Weekend. 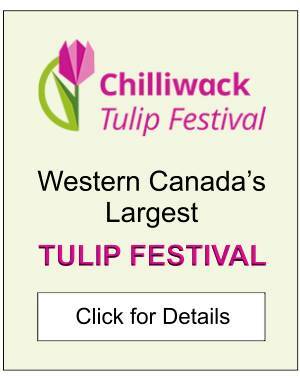 It takes place around Powell Street in East Vancouver from 11:30 am to 7:00 pm on the Saturday and Sunday. Festival venues include Oppenheimer Park (in the 400 block of Powell Street), the Firehall Arts Centre (at 280 East Cordova Street), the Vancouver Japanese Language School and Japanese Hall (at 475 Alexander Street), and the Vancouver Buddhist Temple (at 220 Jackson Avenue). At the Powell Street Festival expect to see Japanese art and cultural displays, tasty Japanese festival foods, martial arts demonstrations, Taiko drumming, tea ceremonies, ikebana flower-arranging workshops and all kinds of Japanese activities and things to buy. In 2019 the festival takes place on the Saturday and Sunday of the BC Day Long Weekend. TIP: While in the area, if you’re interested in picking up some cheap fruit and vegetables, then drop by Sunrise Market at 300 Powell Street. It often has some of the best produce deals in Vancouver. For more information see the Powell Street Festival. The Squamish Days Logger Sports Festival is a small town community event featuring logging industry-related activities and other fun stuff including a chair carving contest and bed races through the town. Squamish Days runs from the Thursday of the August Long Weekend until the holiday Monday. In 2019 Squamish Days runs from August 1st until the 5th. 2019 schedule details are to be confirmed. On the Saturday there is usually a Kids Festival downtown at the O’Siyam Pavilion Park at 37978 Cleveland Avenue during the day and a Logger’s Stomp Dance at Chances Casino starting at 9 pm. On the Sunday there is usually an early morning 8 km run, a pancake breakfast at Chieftain Centre Mall at 1301 Pemberton Avenue, a parade at 11 am, and the Open Loggers Sports Show and Rotary BBQ in the afternoon at Al McIntosh Loggers Sports Grounds. And on the Monday, BC Day, there is usually the community picnic from 11 am to 5 pm at O’Siyam Pavilion Park which is a free event with outdoor concerts and food trucks. TIP: The Squamish Farmers Market is an exceptional market on Saturdays at the corner of Victoria Street and Cleveland Avenue from 10 am until 3 pm in Squamish. It’s worth visiting any weekend in the summer but especially when there are other activities also going on in town. 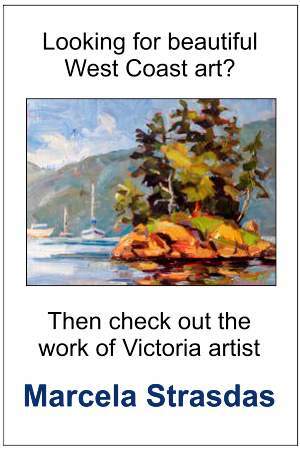 For more information, click Squamish Days. Brigade Days at Fort Langley is an annual event that usually runs all weekend – from the Saturday until the Monday. In 2019 the event runs from August 3rd until the 5th (although details are to be confirmed). From 10 am to 5 pm each day at the National Historic Site there are usually historical re-enactments and interpreters in 19th-century-period costume. In addition to regular summer fort activities, highlights of the weekend also include demonstrations of trapping techniques and historic weapons. On the BC Day statutory holiday Monday there’s the main event – the re-enactment of “The Arrival of the Fur Brigades” where characters in period costume paddle to the fort with their cargo. TIP: If you go on the Saturday you can combine your trip to the fort with a visit to the Fort Langley Farmers Market which usually runs from 10 am until 3 pm. For more information, click Brigade Days at Fort Langley. The Tsawwassen Sun Festival is a three-day community event that features a slow-pitch tournament and a range of other sports and family-friendly activities. The main day of the festival is definitely the holiday Monday. August 5th is when the parade takes place, but also the pancake breakfast, classic car show, Kids Fun Zone, Antique Fair and Main Stage performances. Click Tsawwassen Sun Festival for more information. The Maple Ridge Caribbean Festival is a fairly large music festival that takes place on the Saturday and Sunday of the BC Day Long Weekend at the Albion Fairgrounds in Maple Ridge. The festival features dozens of food trucks, market vendors and two stages with fabulous outdoor music. Some of the bands in 2018 included Ezra Kwizera, Coco Jafro, and Mostly Marley. There are also performances by the Steele “People in Motion Tour” and Carl Soundvibe. 2019 will be similar. Click Maple Ridge Caribbean Festival for more information. In addition to the above major events, there are many other great activities going on throughout Lower Mainland on the BC Day August Long Weekend. Some are special events just for the holiday weekend, while others are some of Vancouver’s best events that take place every weekend in the summer. Music at the Cannery – live music in Steveston Village at 6:30 pm outside the Gulf of Georgia Cannery at 12138 Fourth Avenue. Admission is by donation. North Vancouver Summer Concert Series – free outdoor concerts at Lynn Valley Village, Deep Cove’s Panorama Park and Edgemont Village from 7 to 9 pm. Musical Nooners – a free concert at noon outside the CBC Building in downtown Vancouver at 700 Hamilton Street. Shipyard Night Market – free live music and summer night market activities at North Vancouver’s Shipbuilders’ Square from 5 until 10 pm. Cates Park Summer Concerts – free live music from 4 until 7 pm at Cates Park at 4131 Dollarton Highway in North Vancouver. Bard-B-Q & Fireworks – a special dinner and pyrotechnics night at the Bard on the Beach Shakespeare Festival starting at 5 pm. Shipyards Summer Sessions Concerts – free live music at Shipbuilders’ Square in North Vancouver from 7 to 10 pm. Saturday Farmers Markets – in Abbotsford, Burnaby, Fort Langley, Haney (Maple Ridge), Lonsdale Quay, Squamish, Trout Lake and the West End. Robson Square Salsa – free salsa lessons and dancing in downtown Vancouver from 3 to 7 pm. Summer Sundays – free live music at Rocky Point Park in Port Moody starting at 2 pm. Market Monday at Burnaby Village – a special market day at the Burnaby Village Museum from 11 am until 4:30 pm. Richmond Night Market – market activities and dinosaur displays all weekend in the evenings at 8351 River Road in Richmond. Theatre Under the Stars – outdoor musical theatre in Stanley Park. Bard on the Beach Shakespeare Festival – Shakespearean theatre at Vanier Park. Playland – amusement park rides and midway activities from 10 am to 6 pm on the Friday and until 7 pm every other day. For a list of other great things to do later in the summer, check out Vancouver’s August Events Calendar. Or, for a list of major events throughout the year, see the Festivals & Events Calendar.